With Cobalt you can just extrude in any direction to get a product shape very quickly. It’s as flexible as modeling clay. Unlike other design software, you don’t have to calculate everything using parametrics, create a detailed assembly and add all the dimensions just to get something to show the client for interim approval. 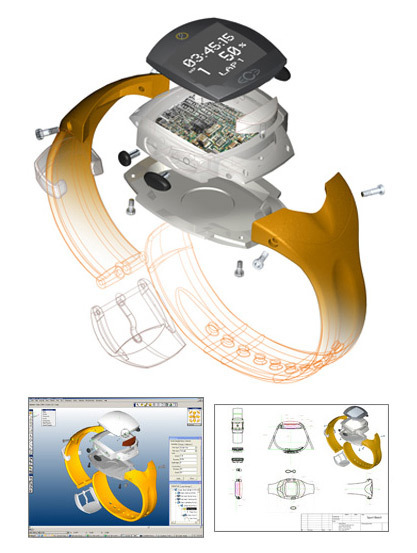 Read more about Luc’s success using Cobalt 3D modeling. Dave Kindlon motion picture product engineer for XTD Research used Cobalt’s powerful set of tools to design and create all of Sonny, the robot. Cobalt was able to handle both the mechanical and ID aspects of our project in one integrated package. I can’t think of another product that has such a nice combo of industrial and mechanical design. 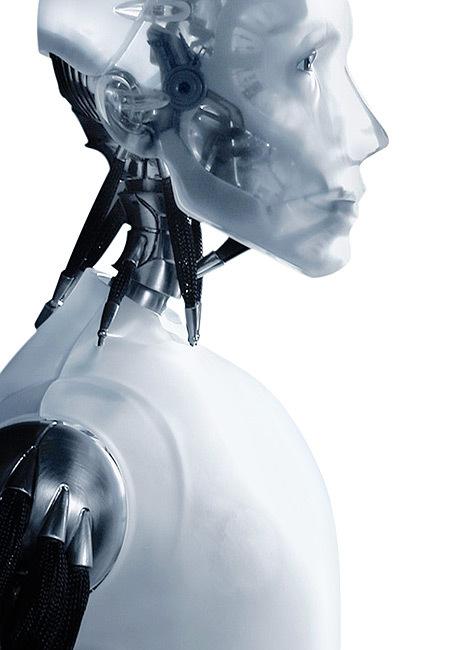 Learn how Dave used Cobalt 3D modeling to create Sonny for the movie I, Robot. 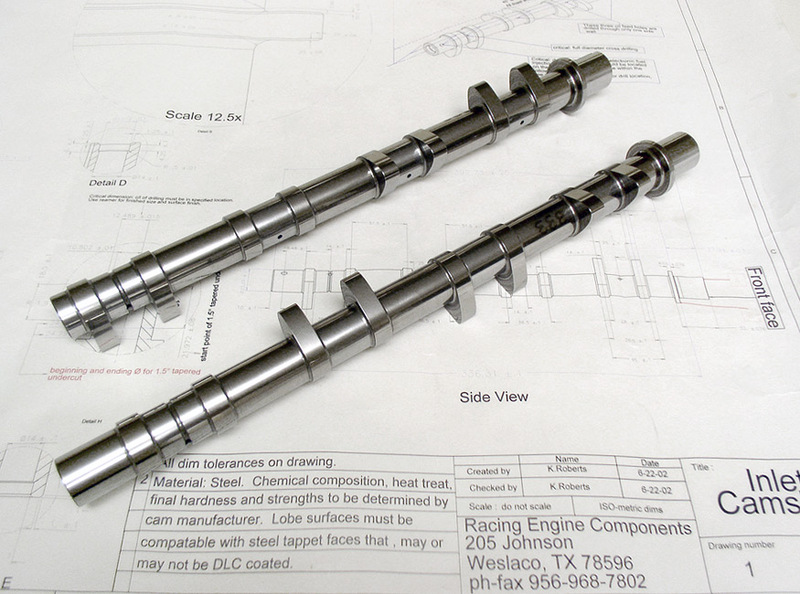 These cam shafts and engine assembly were designed by Kelley Robert, Racing Engine Components. It is a real trick designing a high performance motorcycle exhaust system. This is where Cobalt really comes into its own. Cobalt makes me better than I am. Read more about Kelley’s winning motorcycle engines modeled in Cobalt. 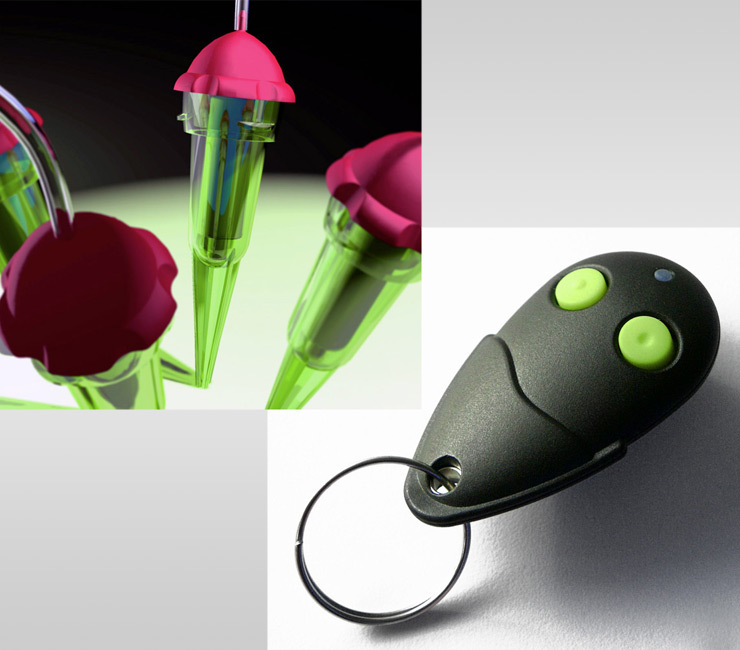 Product designer François Charron uses Cobalt to design products with consumer appeal such as this irrigation system and remote control key fob. 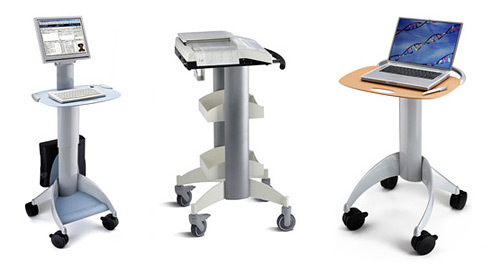 Creation of organic shapes with precision manufacturing make Cobalt ideal for medical applications, including these carts designed by Glenn Polinsky for Modo, Inc.